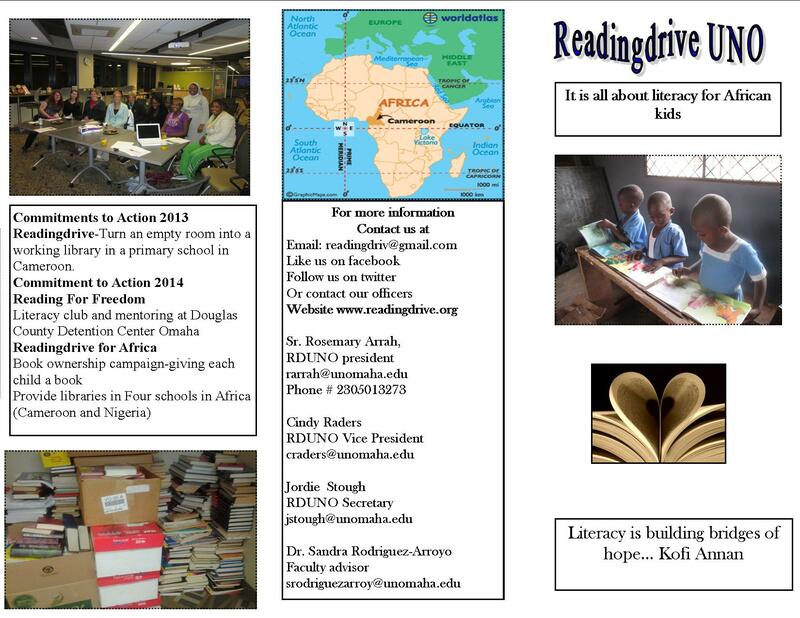 Our goal for next year is to establish four libraries in four schools in Africa. Three in Cameroon and one in Nigeria. Join us to make a difference. reading/mentoring club for the Douglas Country Youth Center. Help us raise funds for our projects by eating at Buffalo Wild Wings on April 23rd. When you go to eat tell the receptionist that you are supporting Readingdrive UNO.